Chinese like to use steaming as a method of cooking, be it in daily household cooking or “baking”. In fact lots of “pastry” items were steamed rather than baked. We steamed meats, vegetables, tofu, rice or even cakes. 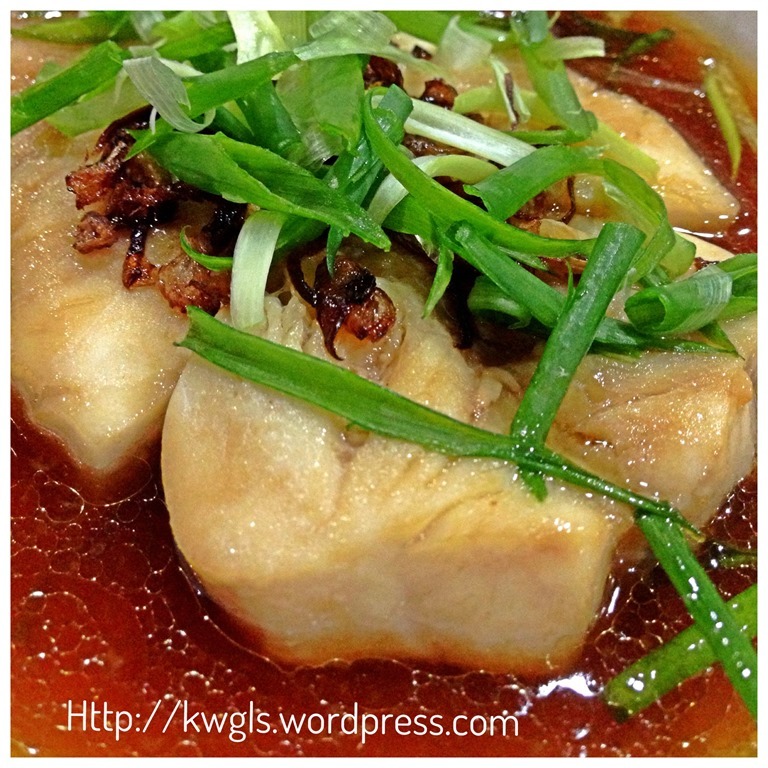 Steamed fish is always one of the most saleable cuisines in Chinese restaurants. Instead of grilling or deep frying, we steamed the fish to preserve its texture and tastiness. 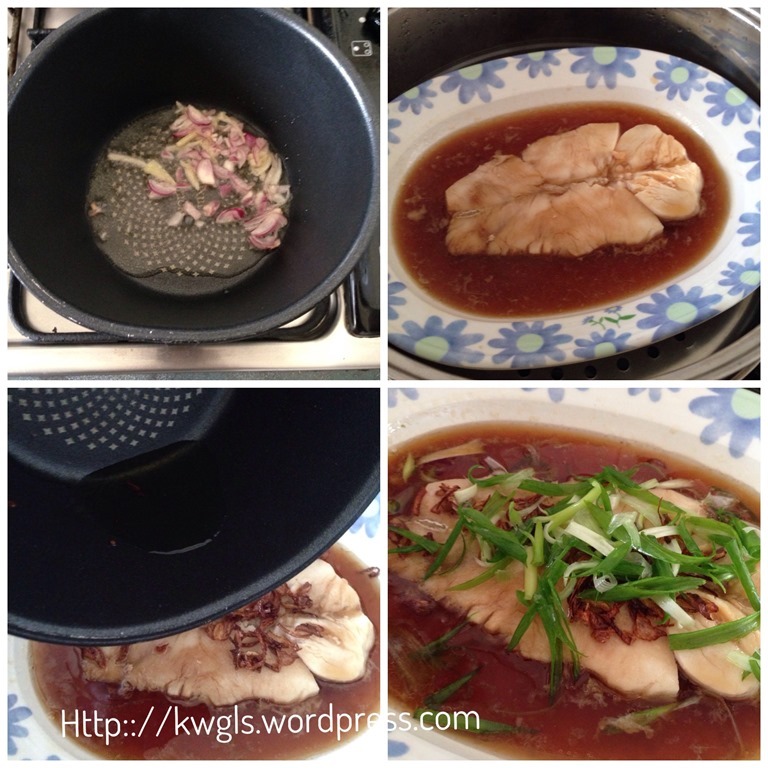 Today, I am sharing the basic Chinese household ways of fish steaming. Type of fish – We don’t steam all types of fish. We only steam fishes that have less bones and fishes that do not have a strong fishy odour. As to what type of fishes are suitable, that will very much depend on experiences and most of time from family menus. Some good types of fish to steam are threadfin (Ikan kurau in Malay), cod fish, white pomfret, grouper, snapper, sea bass, tilapia, halibut or even salmon. Condition of fish – If you are steaming the whole fish, the fish have to be very fresh meaning clear eyes, firm flesh and red gills. Whole fish or fillet – Whole fish can be used but of course not the overly large fish, a fish of the size of a serving plate. If you have kids or guests, you may consider to steam fish fillets as it is easier to serve your guests. Seasoning to get rid of the “fishy” odour – At time fish have a strong odour especially if it is not fresh or using the wrong types of fish. Therefore, in order to get rid of the fishy smell herbs and spices were used. Herbs can include spring onions, gingers, shallots and garlics, spices such as white pepper and others strong flavour cooking ingredients such as Chinese cooking wine or sesame oil. Steaming time – Generally, you will need 8-10 minutes to steam the fish over high heat. For bigger fish, plus another3 minutes. Fish is considered as cooked when the flesh is not stuck to the bone and when the eyes protruded out. It is considered as over cooked when fleshes are very dry and hard. The right timing will ensure that the fleshes are soft, silky and delicate. Condiments to go with when serving steaming dish – Red cut chilli, ginger strips, minced garlics with light or dark soya sauce, or vinegar. 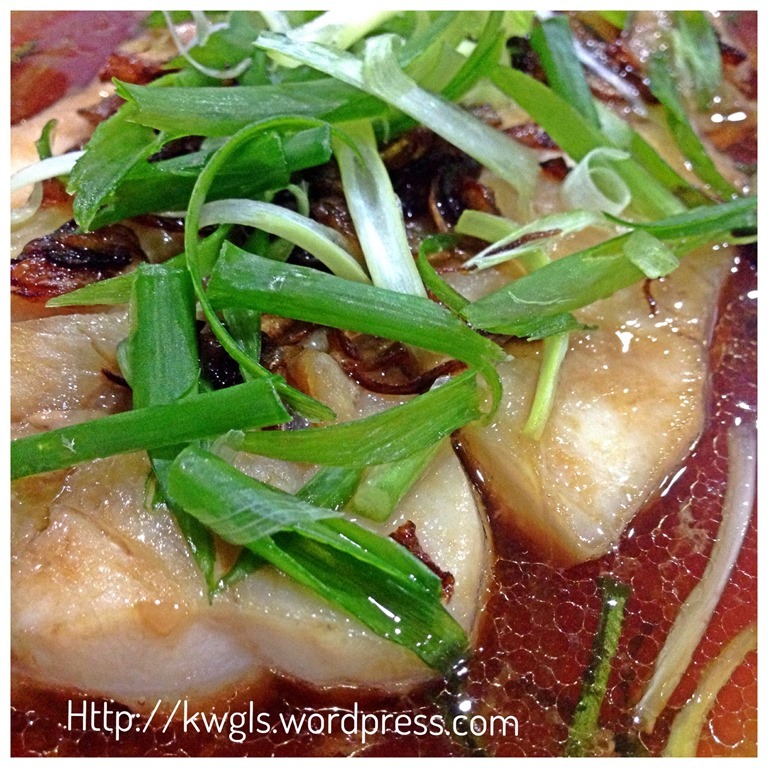 This post will introduce two common type of fish steaming, the Cantonese style and the Teochew style. Both Cantonese and Teochew are dialect groups of Chinese. Most of them are descendants from the coastal provinces of Fujian and Guangdong in the People’s republic of China. Though I don’t belong to the Teochew dialect group, however, the place where my parent hailed from was next to Chaozhou (Teochew) city. 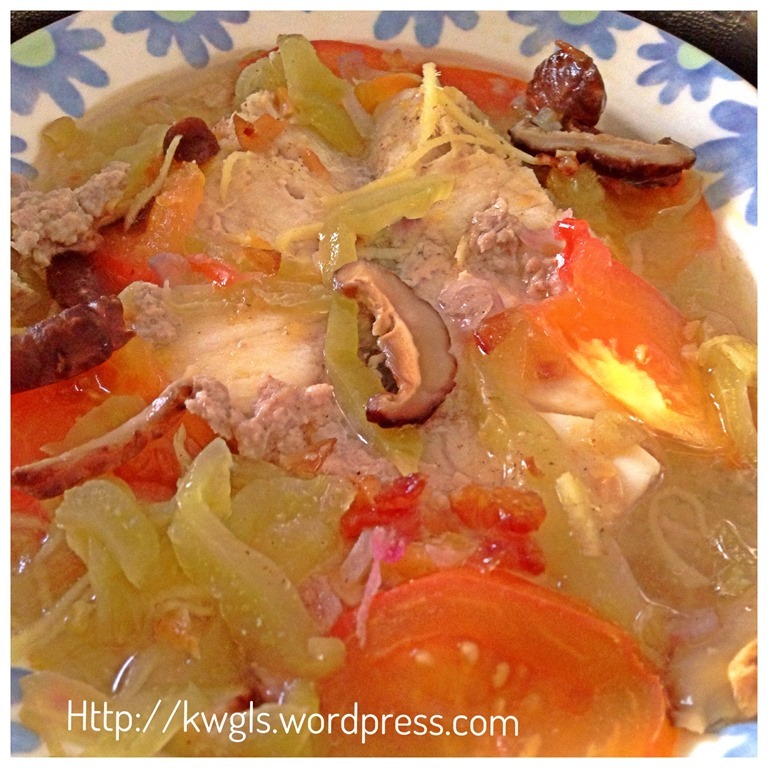 Hence our home cooked food were very much influenced by the Teochew cuisines. 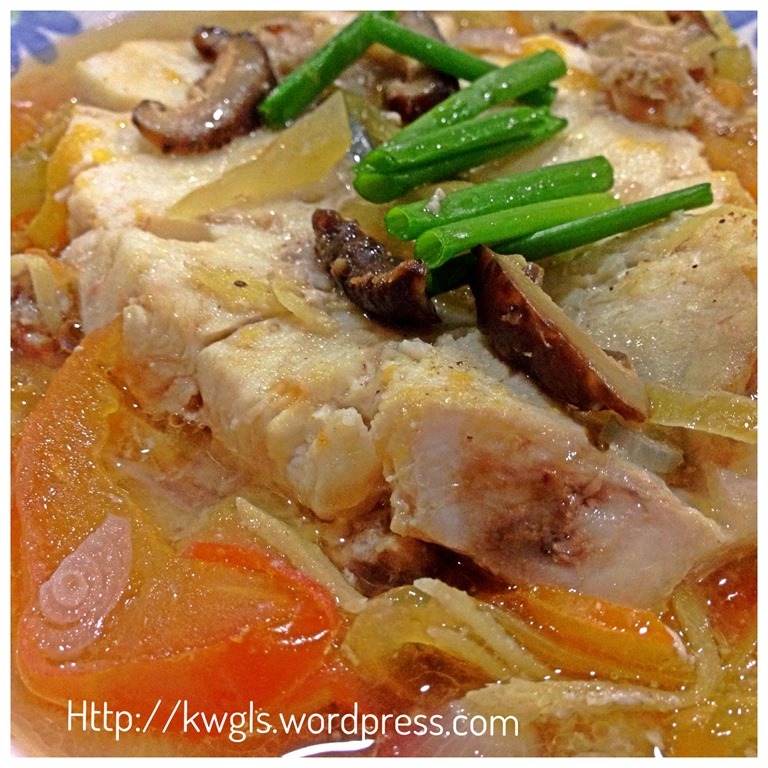 This is my family’s recipe and we have been preparing our steamed fish in this manner for years. 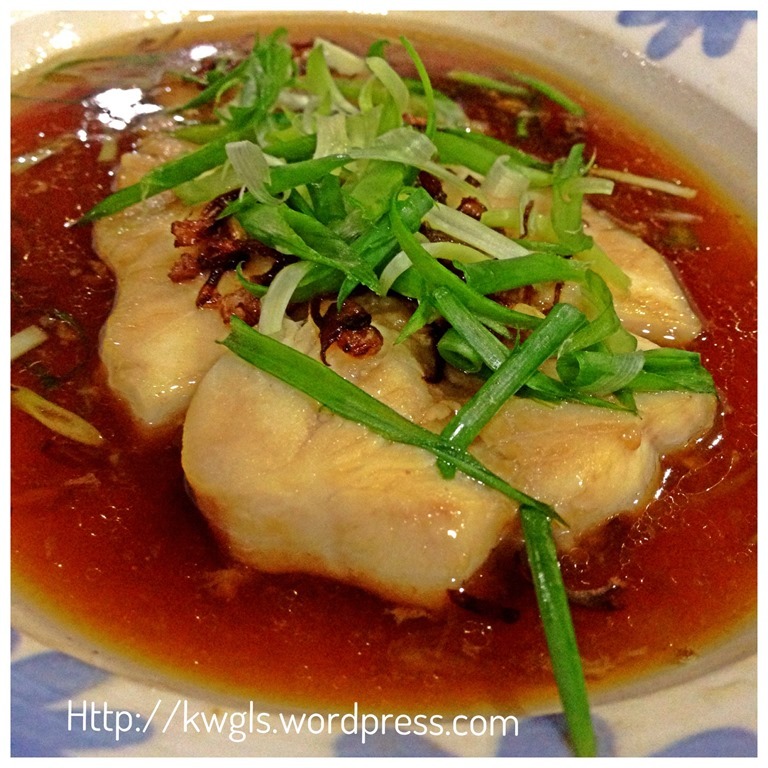 The Teochew style of steamed fish should be sour and sweeten by the meat broth. 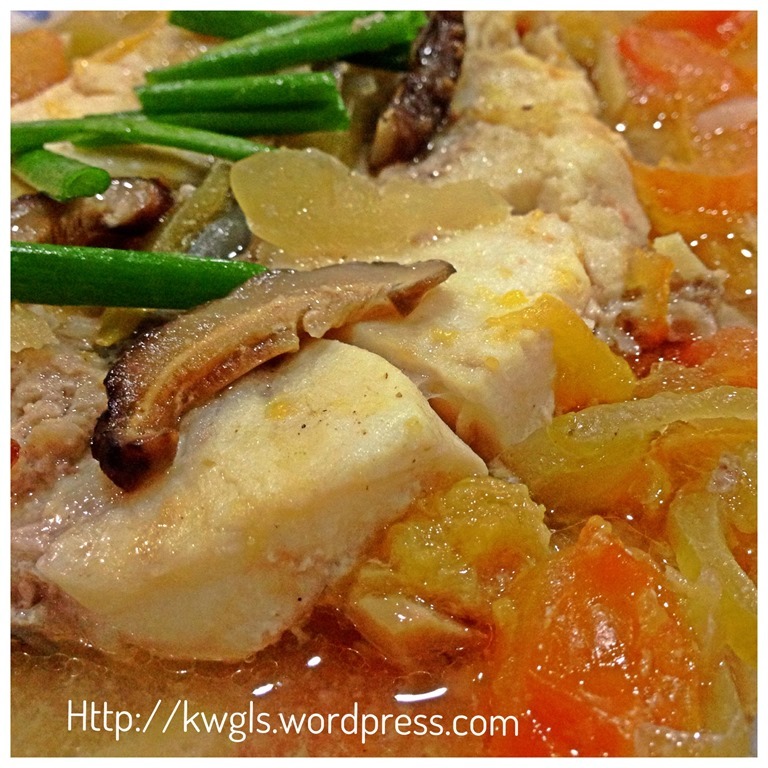 What make the steamed fish slightly sour is because of the two important cooking ingredients. 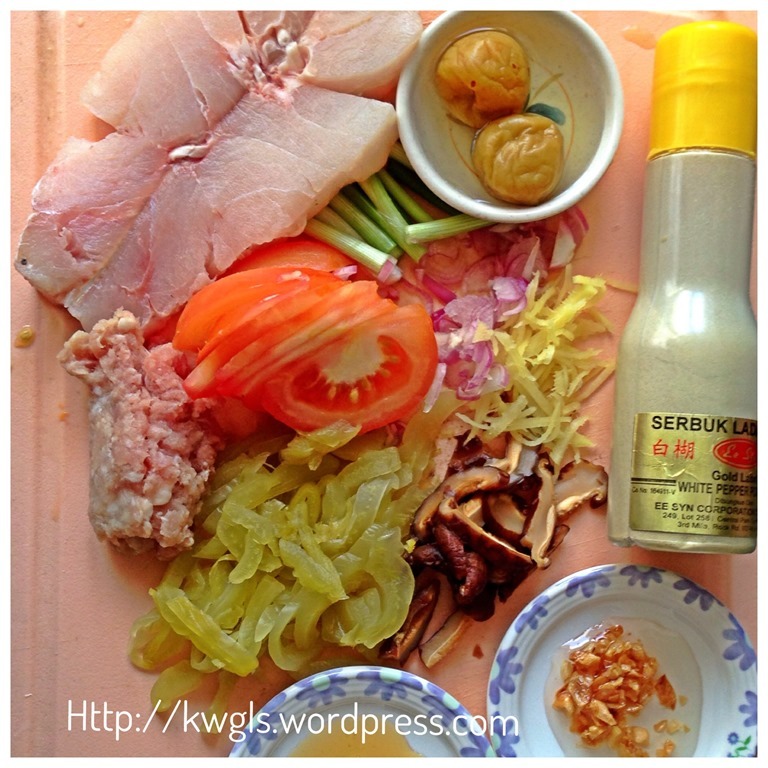 One is the sour plum and and the other is the preserved mustard or so called salty vegetables. To make it even more sour, some restaurants or house chefs are adding tomatoes slices. Winter mushroom is a must and pork belly meat or even lard were used to make it tasty and aromatic. Other than this, there is nothing much to put except some herbs to get rid of the fishiness. Among the herbs or spices are gingers, shallots and white pepper. 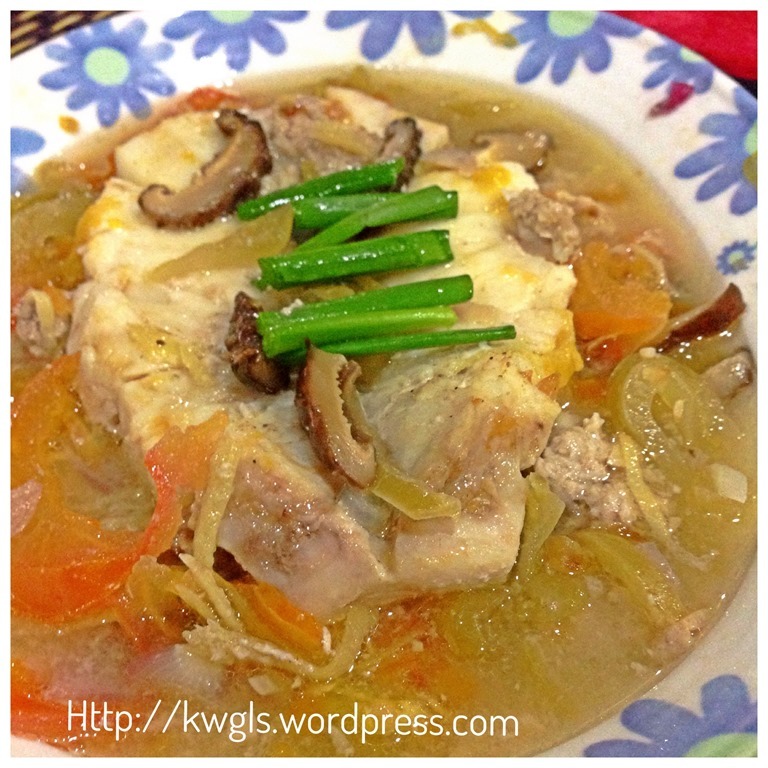 The recipe I have here is with a rather long list of ingredients, however most are optional and I will highlight the must have ingredients to make it an authentic Teochew style steamed fish. In a plate suitable for steaming and serving, put a layer of ingredients (preserved mustard, tomato, sliced mushrooms, ginger, chopped shallots). Put the fish fillet on top of the ingredients, put another layer of ingredients on top of the fish until all ingredients have been used. Add sesame oil and garlic oil/shallot oil. Add in 2-3 tablespoon of water. Dust with white pepper. Steam in a steamer using high heat for 8-10 minutes. For whole fish, if the eyes of the fish have protruded out, it means that the fish is cooked. Note that bigger whole fish may needs additional 2-3 minutes more..
Cantonese style of steamed is easier to prepare and utilizes less ingredients. It is a bit sweet and is more common in non Teochew restaurants. It is just steaming pure fish without any other side ingredients and spices. 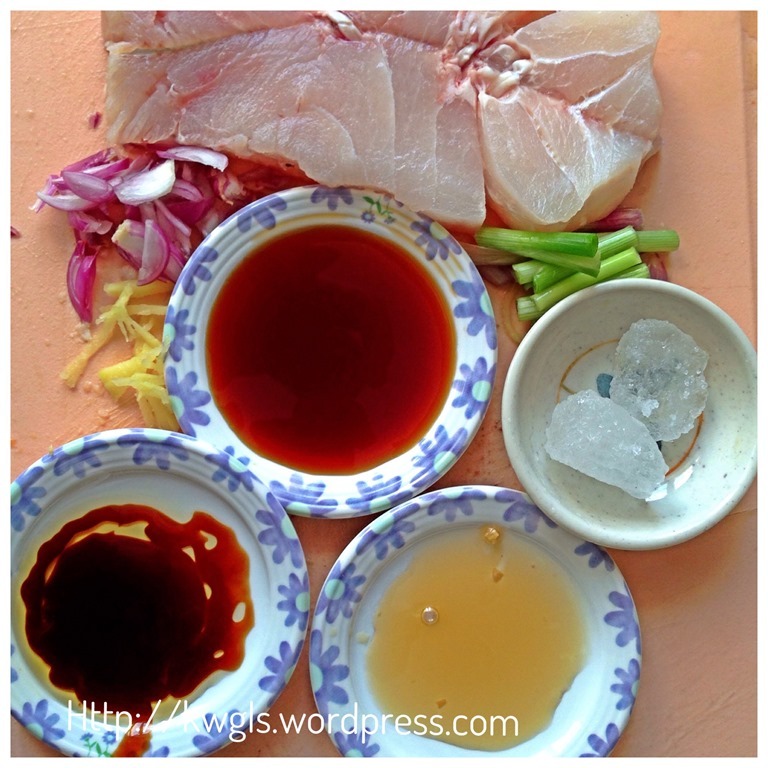 In a plate suitable for steaming and serving, put the fish fillet, add in light soya sauce, oyster sauce, rock sugar and 2 tablespoons of water. Steamed under high heat for 8-10 minutes. While you are steaming, in a small frying pan, put 2 tablespoons of oil and fried the shallot and ginger slices until fragrance. Pour the hot oil on top of the steamed fish. Garnish with spring onion strips. There is a reason that I am having this post. While I know that most Asian or in particular, Chinese families know how to steam fish, but peoples from other countries may not be aware of how to steam fish. I am in a Google Plus communities and there is a post put up by the community owner and there are many questions about the steaming including whether or not fish must be steamed in whole and whether fillets are acceptable. 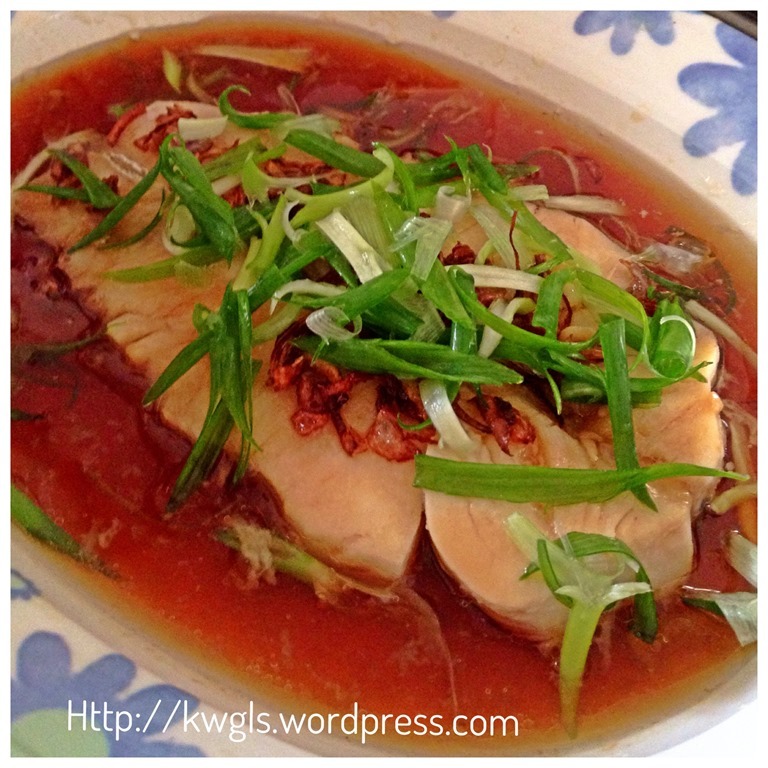 For this simple reason, I am sharing this post about Chinese way of fish steaming. Hope it will give my international readers some ideas of how Chinese are steaming their fish. 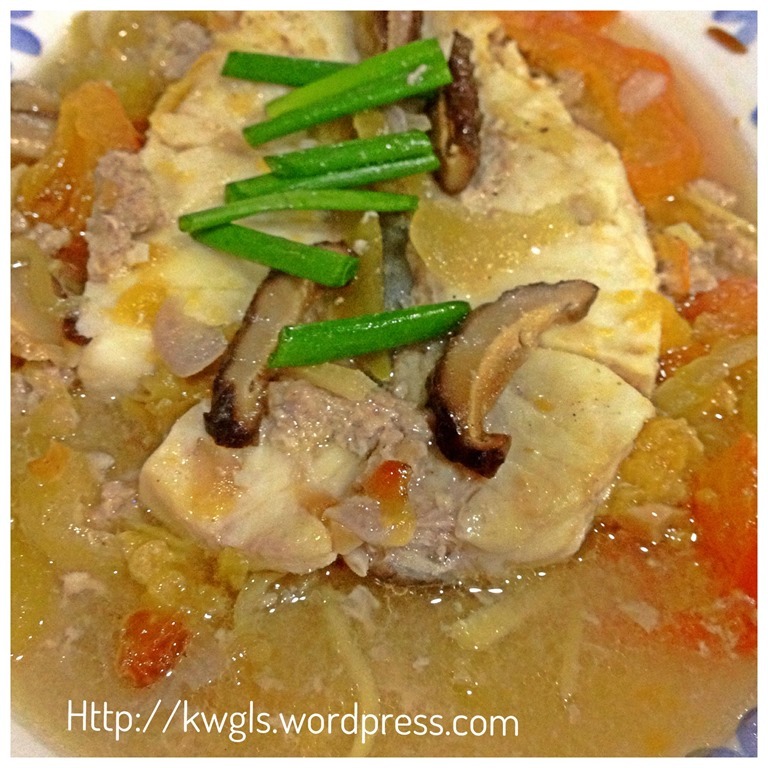 Steamed fish is definitely a healthier alternative to grilling and barbecuing fish. If you are new to Chinese cuisines, try method no.2 or the Cantonese style of steaming the fish. The taste are more universal, utilizing less exotic ingredients and easily acceptable to kids since it is sweet with less spices. 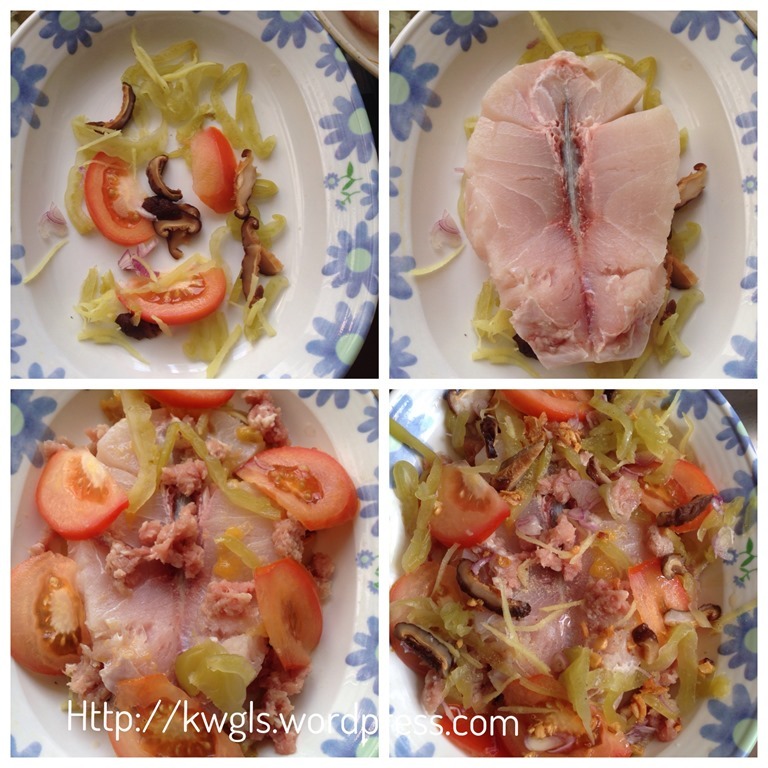 This entry was posted in Dish, Food Preparation Series and tagged 8, cantonese style steamed fish, chinese steam fish, guishushu, postaday, salted vegetable, steamed fish, teochew style steamed fish. Bookmark the permalink. 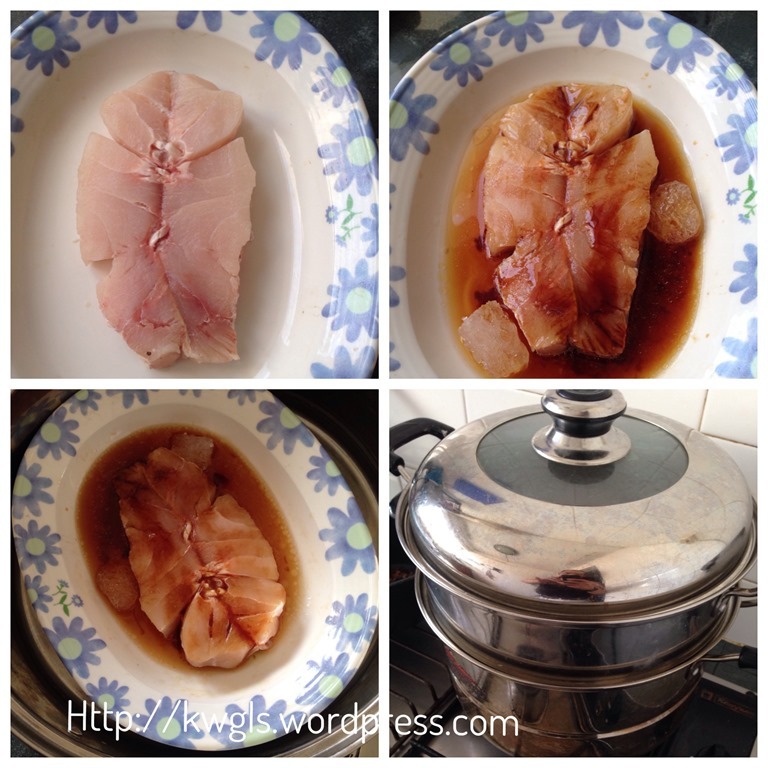 Kenny, I feel very hungry and now have a craving for steamed fish, thanks your yummy post ! Kenny, thank you so much for all of this wonderful information and such beautiful food! Pinning of course! Hope you have a happy day! Looks beautiful – great, informative post.